Drupal Association Board - Director At Large - Why me? Drupal is awesome as always! At my first speak to the candidate session on wednesday, not only did I speak for myself, but also got a chance to meet other candidates who are standing for the Drupal Board - Director At Large. Each of the candidates had so much to share about their contributions and were from different cultural background and brought different skills and competencies. This shows how Drupal has grown in the last years. For those of you who could not make it to my first session, some key questions and my responses. Here is the link to the video: https://www.youtube.com/watch?v=b2eiS1Lkk94&feature=youtu.be..
DrupalCon Asia – Just a month away! 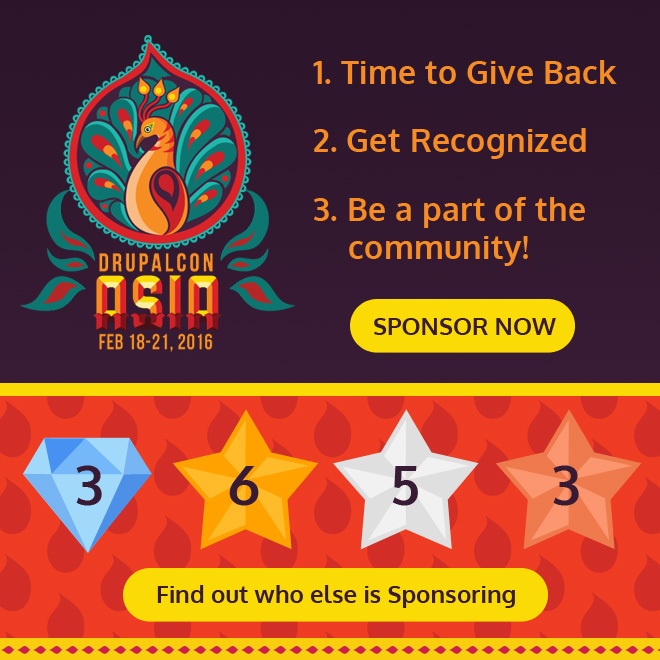 I have been speaking to different Business Owners and stakeholders who have been in the Drupal space with regard to participating in DrupalCon. The key aspects of those conversations are given below:.. I am proud to receive a Grant from the Drupal Association to attend DrupalCon Amsterdam. As a note of thanking the community, I started Day 1 here, Saturday, 27th September Volunteering to help Tote Bag and Badge Stuffing activity at Onyx Lounge at Amsterdam Rai. .. In a recent project I got the opportunity to tweak Drupal’s Apache solr queries.In this blog p..
Where do you find the Drupal.org Software working group? Did you know that the Drupal.org Software working group appointed by the Drupal Association provides co..